Bronsky Orthodontics features clear aligners such as Invisalign®, transparent braces and lingual braces – worn on the inside of the teeth – that can make treatment virtually undetectable. Technological advances add up to a more efficient course of treatment so you can expect a healthier outlook in no time. Aesthetic Benefits: Everyone wants to look their best! A lovely side effect of optimal tooth alignment and a solid bite is a confident smile. Health Benefits: If your mouth is healthy, chances are that your whole body has a better chance of being healthy too. Misalignment of teeth and jaw structures may lead to discomfort. 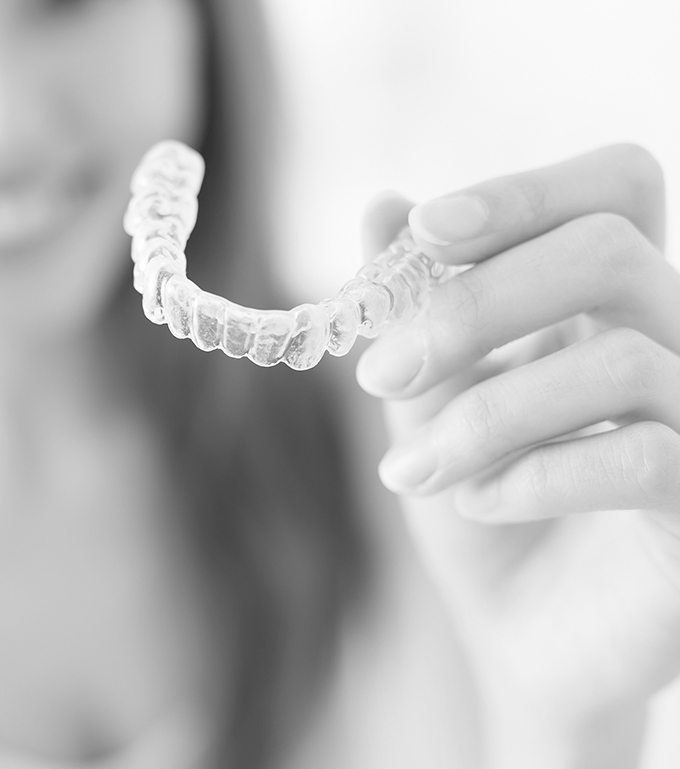 Orthodontic treatment with braces or Invisalign can correct tooth alignment and/or the bite to alleviate any undesirable pressure or discomfort caused by misalignment. Hygiene Benefits: Properly aligned teeth allow for a cleaner, healthier mouth and a better defense system against periodontal disease.